I lovc a picture book that makes me laugh out loud which is exactly what happened when I read Wolfie The Bunny. 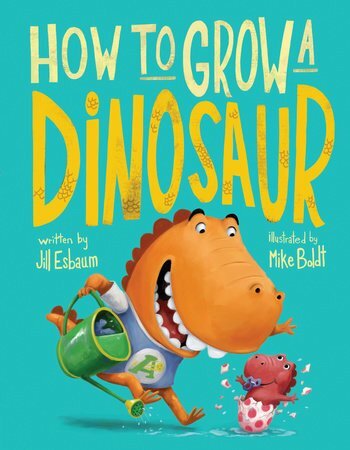 Plus, this book has got it all: humor, suspense, endearing characters, and super artwork, so it’s easy to adore. Dyckman’s included just the right amount of repetition of the line, “He’s going to eat us all up,” to keep it fresh and fun. And Dot’s parents’ admiring comments of “He’s a good eater, “He’s a good sleeper,” and “He’s a good drooler!” clearly demonstrated their unconditional love. What worked best in this tale was how Dot’s initial fear of being gobbled down disappeared when Wolfie was threatened by a bear. Stepping up to the plate as big sister, Dot defended her little brother and found that fighting for her family member’s safety brought her closer to Wolfie and dashed any fear of being on the menu for dinner. 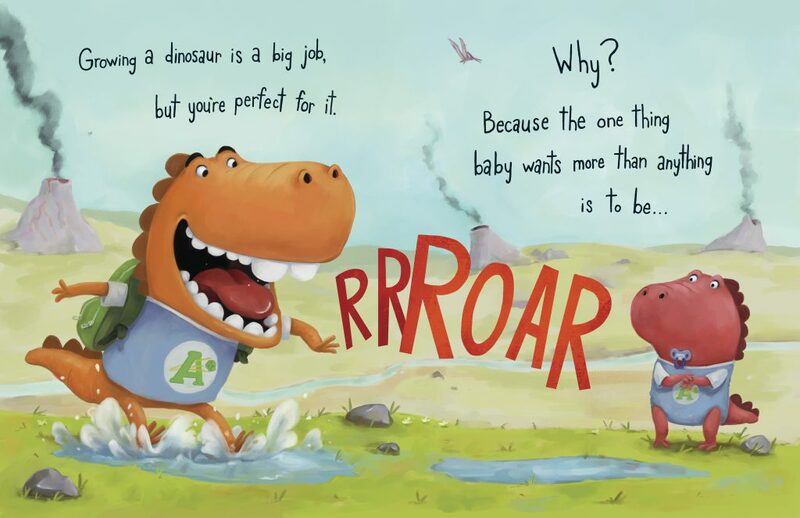 Meet Archie, the main character of this adorable new picture book, Olive Marshmallow by Katie Saunders, inspired by her actual experience when she was expecting her second child. Interior artwork from Olive Marshmallow written and illustrated by Katie Saunders, Little Bee Books ©2015. Archie has noticed something different at home. His mom is looking BIGGER. She shows him the ultrasound image, something I haven’t seen in other books, but was happy Saunders thought to include it. “This is your baby sister growing in Mommy’s tummy,” she says. Archie is going to be a big brother. Unlike most older siblings usually concerned about a new child stealing the show, this little lad only briefly wonders if he wants a baby sister because what he really likes are “cars, trains, and playing ninjas.” The only objection he seems to have about the changes afoot is all the pinkness that’s filling the house. He is ABSOLUTELY sure that he doesn’t like fluffy, frilly, very pink things. For a lot of parents, Archie may seem to be the ideal son, but that’s what’s so sweet about this simple picture book. 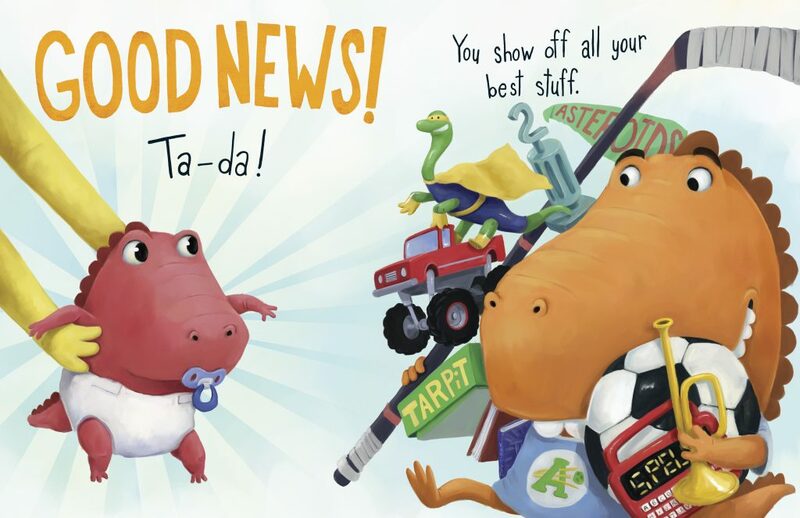 Olive Marshmallow is actually a super story to share with kids about the imminent arrival of another family member because it’s completely positive, setting it apart from so many of the rivalry-themed books. 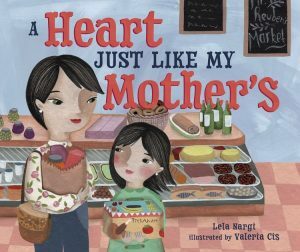 While those books are very important, and do indeed serve a purpose for helping kids find the words for feelings they may not otherwise be able to articulate, it’s refreshing to read a more innocent approach. Plus the switched on mom in the story is a reassuring presence. While things may not remain the same once the baby comes along, there will be twice the number of toys, and someone to play with (eventually). So it’s no surprise that from the moment Archie meets his marshmallow of a baby sister, it’s love at first sight. In addition to the upbeat text, this feel good book exudes such joy as a result of Saunder’s lovely palate of soft pinks and baby blues. Her illustration style is a delightful blend of Lauren Child meets Nick Sharratt that kids will love. And you’ll notice she’s included a pet kitty you can point out to your child for some good laughs. Hint: Look for the cat dressed up in a tutu and crown. Things may not be the same anymore for Archie, but they sure will be better! Edgar’s Second Word, a picture book written by Audrey Vernick and illustrated by Priscilla Burris (Clarion Books/Houghton Mifflin Harcourt, $16.99, Ages 3-6), is reviewed today by Cathy Ballou Mealey. Oh how sweet sister-to-be Hazel longs to welcome her baby brother! She’s drawn pictures and posters, chosen special bedtime stories, and practiced reading to her stuffed bunny, Rodrigo. But as Hazel finds in Audrey Vernick’s newest picture book, Edgar’s Second Word, babies don’t always want to go along with the plan. Hazel and Edgar’s mother dutifully notes all of Edgar’s firsts in his baby book, while Hazel waits patiently for Edgar to do more than grunt and point. His first word, NO, is celebrated and then quickly deplored as it becomes Edgar’s go-to response to all opportunities for entertainment. Burris’ artwork is spot-on cheerful and bright for her young audience. Warm yellow tones and lovely lilac hues are nicely accented with springtime greens. Nothing is too perfect or precise, and delightfully captures Hazel’s springy curls, bubbly bath, and cozy bed. The detail contrast with plaids, polka-dots and zig zags adds lovely textural interest to every spread. Interior artwork from Edgar’s Second Word by Audrey Vernick with illustrations by Priscilla Burris, Clarion Books/Houghton Mifflin Harcourt, 2014. Readers will know from the title that Edgar does eek out a second word by the book’s end. But the surprise is that there is also a third word that wraps the story to a harmonious and clever close. 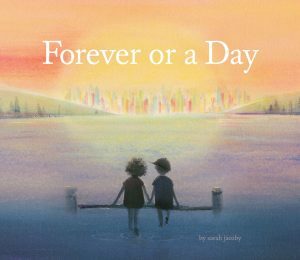 Edgar’s Second Word is a fresh, appealing story accenting the positive aspects of sibling relationships while underscoring the virtues of patience and persistence. 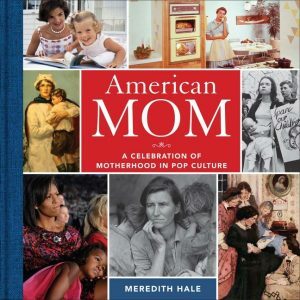 – Where Obtained: I received a review copy from my library and received no compensation. The opinions expressed here are my own. A Delightful Double Dose of Tatyana Feeney! both reviewed by MaryAnne Locher. Little Frog’s Tadpole Trouble written and illustrated by Tatyana Feeney, Alfred A. Knopf Books for Young Readers, 2014. 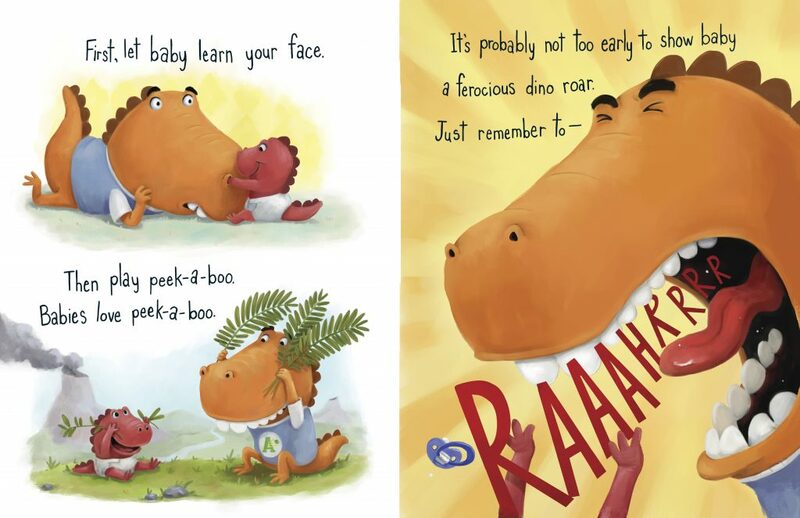 Tatyana Feeney wows us again with her simple brand of illustrating and storytelling in Little Frog’s Tadpole Trouble (Alfred A. Knopf Books for Young Readers, $16.99, Ages 1-3). The universal tale of a new baby (or in this case, nine tadpoles) taking all of mommy and daddy’s attention from big brother (or in this instance, Little Frog) will delight older siblings, whether boys or girls. We all know newborns don’t do much, but require oodles of attention from their parents. 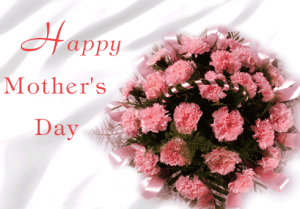 So it is when Little Frog suddenly finds himself the big brother to nine tadpoles. They can’t build towers, they can’t play the drums, and they can’t even jump! All they can do is take mommy and daddy’s time away from Little Frog, who is resentful of missing story time and goodnight kisses from his parents. Then, one day the tadpoles grow into little frogs themselves becoming perfect playmates for their big brother. Little Frog decides having siblings isn’t so bad after all, and that it makes his family better than ever. Little Frog becomes the best big brother and one youngsters can relate to. 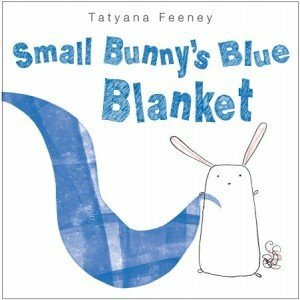 A companion book for Feeney’s other works: Small Bunny’s Blue Blanket (see below) and Little Owl’s Orange Scarf, Little Frog’s Tadpole Trouble is the perfect book when a new baby is brought into the family. Small Bunny’s Blue Blanket written and illustrated by Tatyana Feeney, Alfred A. Knopf Books for Young Readers. 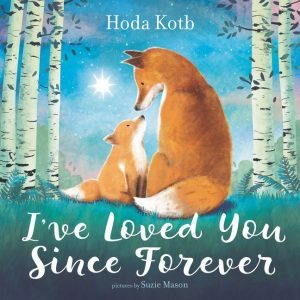 Here’s a book for all of you parents out there with little ones who have an attachment to a blanket, stuffed animal, or other inanimate object. You are not alone! Who hasn’t tried to sneak a sour smelling “doggie” into the washer? How many times have you heard of the dad cajoling the night janitor to let him into the preschool to retrieve the “bunny” left in a cubby, just so his daughter could go to sleep, or seen the dirty, frayed, and much loved blanket dragging behind a toddler in the grocery store? 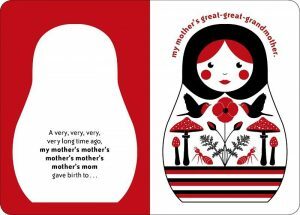 Tatyana Feeney, author of Little Owl’s Orange Scarf and Little Frog’s Tadpole Trouble, has enchanted us again with Small Bunny’s Blue Blanket and captured one of the cutest and at the same time most frustrating, loves of wee ones: the security blanket. Small Bunny and his blue blanket are inseparable. They swing together, play in the sand together, and even paint together. Just as bunnies get dirty and need a bath, so do blankets. At bath time, Small Bunny tries hiding from Mother, but she finds him and his blue blanket. After giving Small Bunny a bath, she insists on washing blue blanket too. Small Bunny counts the minutes until it is done washing and drying, which to him feels like an eternity. Mother is happy with the blanket and says it’s “just like new.” Small Bunny doesn’t like “new” and goes about swinging, painting, and playing with his blue blanket until it’s just the way it was before.